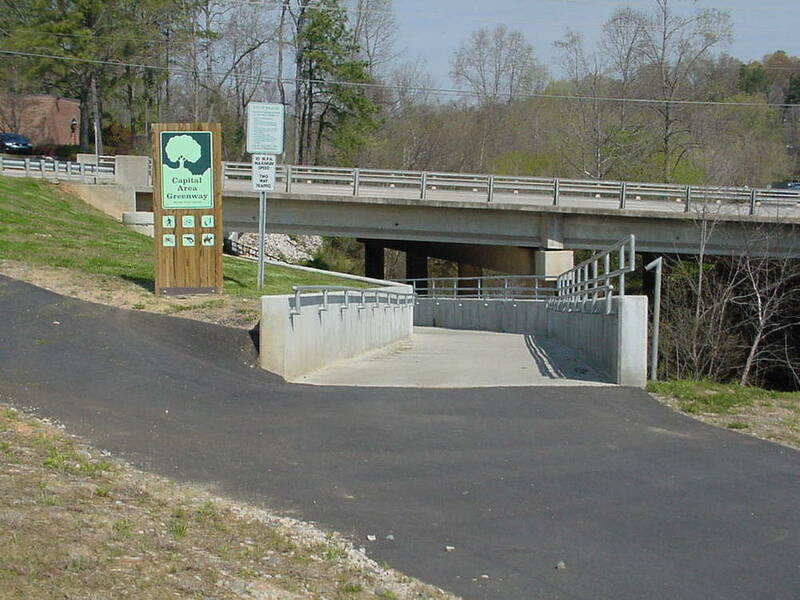 Alpha & Omega Group is a registered SPSF civil and structural engineering firm providing design services on all sizes of greenways and bridges for local, state and federal agencies. Since 1998, Alpha & Omega Group has developed professional engineering relationships, based on trust and excellence, with multiple municipalities’ parks departments, including the City of Raleigh, the Town of Apex, the Town of Wake Forest, and the City of Cary. A&O’s foundation is grounded in bridge design, with deep and varied experience among the professional staff. Greenway bridges have included natural timber and glue-laminated materials with composite recycled decking. Our services for bridge and boardwalk design may include preliminary engineering, data collection, and field investigation and reconnaissance for stream crossings. We may do a hydraulic analysis or submit a Federal Emergency Management Agency flood study report. We might consult a geotechnical expert for foundations recommendations. Other services typically include design development and construction drawings and specifications; scour analysis; scour protection and erosion control; developing an engineer's opinion of probable cost; and construction administration. Alpha & Omega Group looks forward to the opportunity to serve on your greenway project.